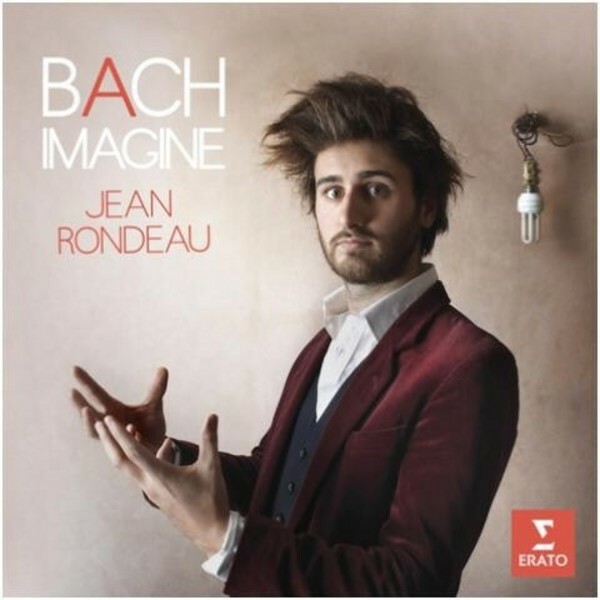 'Imagine' is the first Warner Classics release from the dynamic young French harpsichordist Jean Rondeau, who sees it as “an exploration of all the possibilities that lie in the music of Johann Sebastian Bach and in the harpsichord”. Praised by radio station France Musique for his “maturity, fabulous touch and originality”, the multi-talented Rondeau feels that, as a young musician today, he has “an incredible opportunity to break out of the concert hall and meet the world”. Born in 1991, Rondeau is a musician with impeccable credentials in his instrument – and he has many prizes to prove it – but, with his multiple talents and interests, he defies simple categorisation: he is also a musicologist and is trained as an organist and a choral conductor, while as a pianist he is co-founder of a group (called Note Forget – The Project) that performs his jazz compositions. He was only six years old when he fell in love with the sound of the harpsichord and decided he wanted to learn it. “The harpsichord has a special sound and timbre, and it can really charm an audience. Its possibilities are endless”, he says. His principal teacher was Blandine Verlet, especially renowned in the works of Bach and Couperin, and he went on to study at Paris’ Conservatoire National Supérieur de Musique, at the Sorbonne (where he took a degree in Musicology) and at London’s Guildhall School of Music and Drama.